There is a wide variety of cloud computing aspects that IT managers and Business CIOs must take into consideration when adopting cloud services within their corporate infrastructure. Security, performance, cost, availability, accessibility and reliability are some of the common yet key areas to take into account. Cloud elasticity and cloud scalability are another set of criteria that have recently been added to this list of considerable factors that influence your decisions. They are as impactful to cloud computing as bookkeeping is to financial reports. Although many have been using these technical terms interchangeably, there are several contrasting differences between elasticity and scalability. Interpreting such distinctions is imperative to ensure that your business needs are properly met with optimal efficiency. Elasticity is used to match the resources that have been allocated with the actual resource amounts required at a given instance. On the other hand, scalability tackles an application’s varying requirements within the parameters of the infrastructure through removing or adding resources statically in order to fulfill applications’ needs whenever demanded. This phenomenon is handled, in most cases, by vertical scaling (scaling up) and/or horizontal scaling (scaling out). And when it comes to sizing, elasticity is lesser targeted and powered in nature than scalability. Typically, the application cases where cloud elasticity performs optimally include mobile, SaaS, Dev Ops, e-commerce and retail, and other environments that exhibit persistently varying needs in infrastructure services. 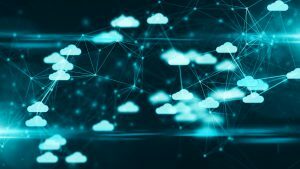 Cloud scalability is expected to render better cost saving advantages for organizations that demonstrate a feasible workload featuring stable performance and capacity planning and can predict a growth or even the constant workload. Typically, elasticity is a system’s ability to shrink or expand infrastructure resources potentially as required in order to adjust to workload variations simply in an autonomic way, ensuring resource efficiencies. You need to know that everyone cannot take advantage of elastic services. Environments not experiencing cyclical or sudden variations in requirement may not make the most of cost-saving advantages that elastic servicers can offer. Application of ‘Elastic Services’ usually means that each resource available in the system infrastructure has to be elastic. Such resources include software, hardware, connectivity, QoS and other matters that are utilized in inelastic applications. Thus, it may turn out to be a negative trait where certain applications’ performances should have absolutely guaranteed performance. Cloud elasticity is a well-renowned feature related to horizontal scaling or scale-out solutions that allows for system resources to be added or removed dynamically whenever required. Elasticity is more generally featured in pay-as-you-expand or pay-per-use services and is commonly related to public cloud resources. More often, scalability includes the system’s ability to grow workload sizes within pre-existing hardware, software and other related infrastructure in the absence of impacting performance. All of these resources that need to support the workload are often pre-planned capacity featuring a headroom’s certain amount built in to tackle peak requirements. In some cases, even without a hard limit, the ability to grow with extra infrastructure resources also comes under scalability. It can either be horizontal or vertical. Thus, applications must have enough room to scale out or scale up to prevent performance hindrances due to lack of resourcefulness. There are several cases where a company’s IT manager knows that there is no further need for resources and subsequently will statically scale down the infrastructure in order to support a smaller new environment. What you should know is that some cloud services are accounted for adaptable solutions with incredible services where both elasticity and scalability are offered. Each of them allows the IT department of an organization to contract or expand their services or resources per their needs while also offering the benefits of pay-as-you-grow in order to scale for output and resource requirements to fulfill SLAs. Effective incorporation of each of these potential capabilities is of paramount consideration for an organization’s IT manager whose system infrastructure is persistently fluctuating without any pause. The supplementary infrastructure, in order to handle the grown capacity, is only utilized initially in a pay-as-you-expand model and subsequently ‘shrinks’ back to a decreased volume for the rest of the entire year. It also ensures extra unanticipated and sudden sales activities throughout the year whenever required without affecting availability or performance.